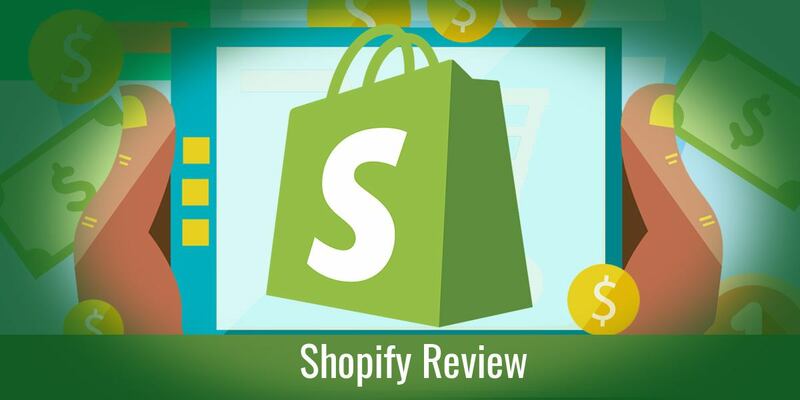 Shopify is a Canadian company that develops ecommerce and point-of-sale solutions for online merchants. They were founded in 2004, and today they report supporting over 300,000 merchants with a total gross merchandise volume exceeding $10 billion. A beautiful storefront does you no good if the platform doesn’t leave the user with a good experience. That’s why we’ve tested Shopify’s speed and performance. TESTING NOTES: We used using Google Page Speed. The test store has 20 products and uses Shopify’s default free “classic” theme. 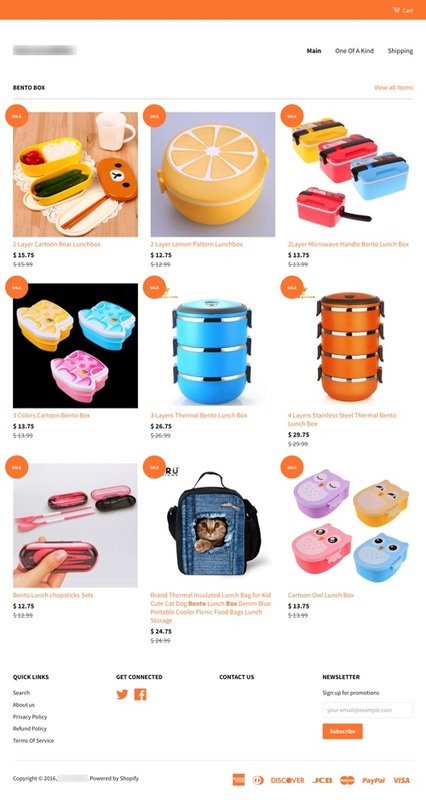 Products were bulk added from AliExpress to the store using this Shopify dropship app ). Always make sure to do your own tests with each theme you intend to use (including both free and paid themes). Be sure to also do these tests on various devices, as the speed and user experience are vary with each of these different themes. Our testing shows the site not only looked great, but it also loaded fast enough on both desktop and mobile platforms. What’s more, buyers can shop and purchase the goods directly from their mobile devices. Considering that more and more people are using their phones instead of their computers for shopping, checking out mobile performance is one of the top priorities on our review checklist. Shopify passed the test with ease using the default free theme with no other additional editing and plugins added. Hosting: You get unlimited products, unlimited storage, and unlimited bandwidth on all plans. Ability to auto-send abandoned cart emails: No, it’s not part of the standard plan. However, you can get this feature on premium paid plans. Real-time shipping quotes: No, it’s not part of the standard plan. However, you can get this feature on premium paid plans. PCI compliance: Yes, Shopify has Level 1 compliance with the 12-point Payment Card Industry Data Security Standard (PCI DSS ). Reporting: Yes, basic reporting is included. Comprehensive reporting is available with some premium paid plans. One thing we like about Shopify is that they have very nice, modern templates. Out of the box there are 24 free responsive templates that worked well on both desktop and mobile. 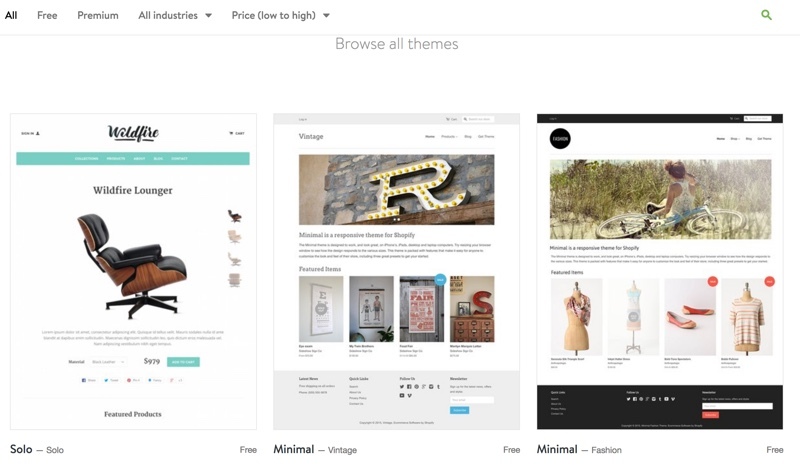 Shopify also has a nice assortment of stunning premium themes. They have over 140 paid themes at the time of this writing, which range from a reasonable $120-$180 per theme. Shopify gives you beautiful, free themes right out of the box, or you can purchase one from their collection of modern, polished themes. To accept payments, it’s critical that your site is safe and secure. 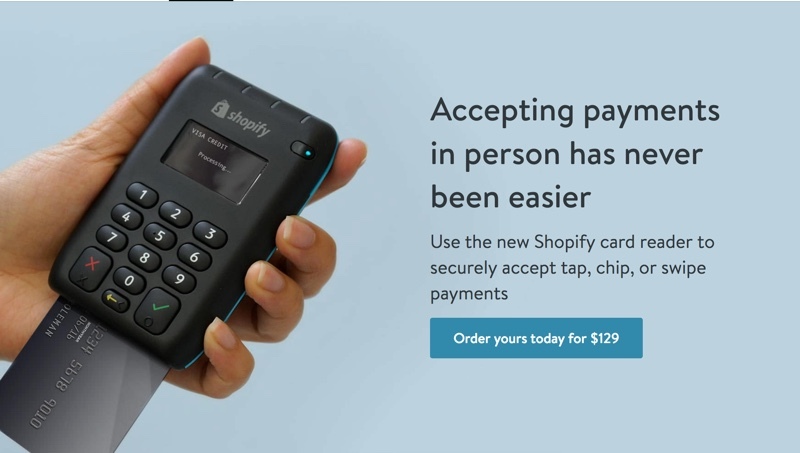 Shopify makes this easy by taking the burden off your shoulder by providing PCI-compliant payment processing, even with the most basic plan. You don’t have to worry about SSL, PCI compliance or security, as these services and features are provided to you at no additional cost. Ability to handle subscriptions/recurring product orders: Yes, this feature is available via a paid add on. Drop-shipping integration: Yes, with a paid add on. Ability to sell customizable products (like custom print): Yes, it’s available with an add on. Fulfillment by Amazon integration: Yes, but it’s only available in some countries. Reward points program compatibility: Yes, this is available with a paid add on. 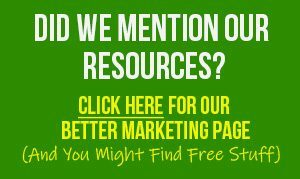 Affiliate system? Yes, this is available with a paid add on. Can sell digital product (in downloadable form ): Yes, this is available with a paid add on. Can sell physical products: Yes, this is the default setting. Can sell offline: Yes, you can sell offline. However, you’ll need to invest $129 in the Shopify card reader in order to process these Point Of Sale purchases. 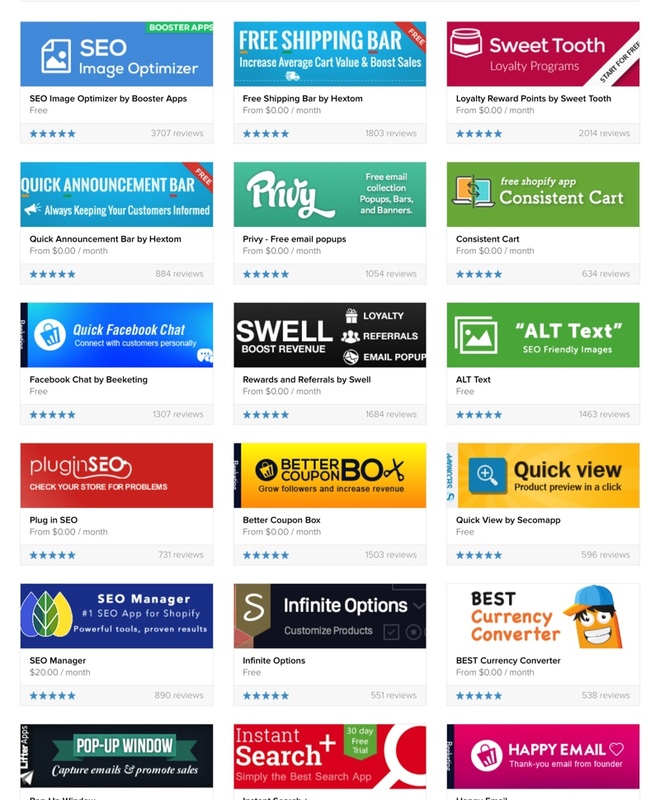 App store: Shopify has an amazing collection of over 1000 apps that are both free and paid. Because Shopify’s out-of-the-box features are a little on the slim side for the basic plan, chances are you will need an app to create the functionality you want. 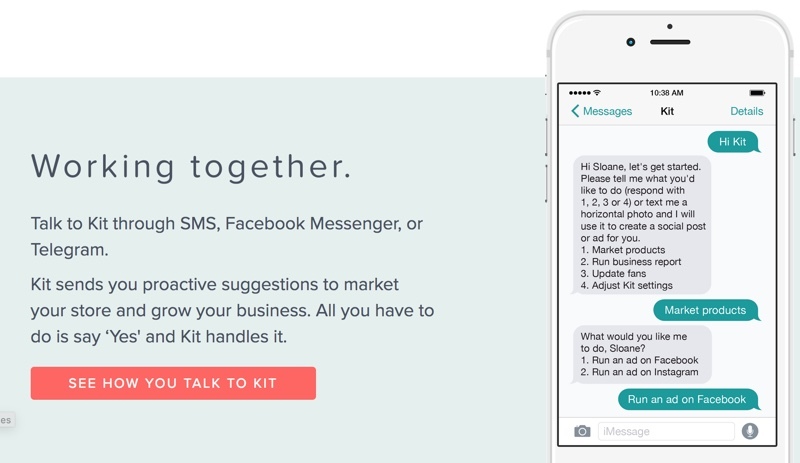 Shopify introduced a brand new service called KitCRM. They call it “a virtual employee” that you can hire for $10 per month (or $25 per month for the pro plan). Create Facebook and Instagram ads. Post Facebook updates to drive customer engagement. Send personalized ‘thank you’ emails to generate repeat purchases. Promote new or back-in-stock products to customers. 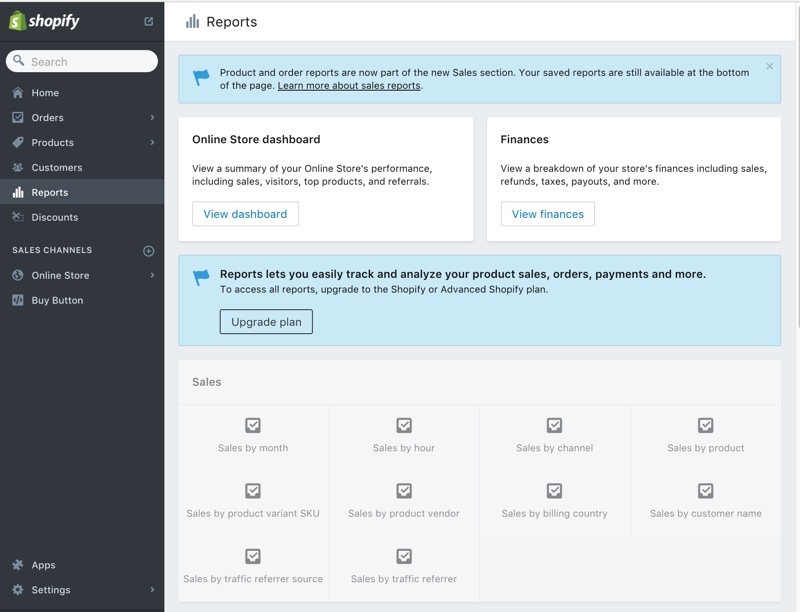 Generate quick reports to provide insights on sales performance. Pro KitCRM can do even more by integrating with other Shopify premium apps. We tested the Pro Kit for two months and it did manage to get 100 new fans to our new FB page. However it didn’t produce any new sales, even though we spent three times more on Facebook advertising than we normally would. In the end we had to “fire” Kit. Maybe we can rehire Kit again in the future when it is smarter. J But the idea, the concept and the way it works is very cool and promising. This could be an essential tool and a secret weapon for the new store owners who need help with promoting their stores (once Kit is more fully developed and capable). You can learn more about Kit here . App Summary: The bottom line is that Shopify’s huge collection of apps means you can configure the form and function of your store pretty much any way you want it. So while the basic plan is a little slim with regards to features, the upside is that you don’t have to pay for features that you’re not using. Instead, you only need to pay for add ons for the features you really want – and better yet, many of the apps are free. Shopify is very flexible, plus it includes a huge app collection and large developer base (which is way more than any other companies currently are offering ). Together, these features make it easy for you to scale and grow your store. 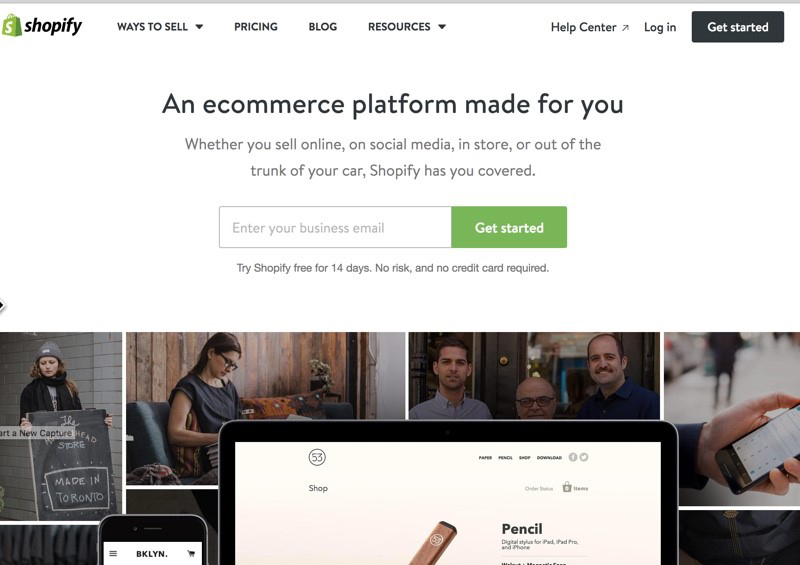 In short, the flexible Shopify platform grows with your business. Learning curve: Yes, there is a learning curve since any ecommerce solution is going to be a robust platform, but Shopify is considered as one of the easier platforms to learn and use. We found their how-to guide to be very detailed and thorough. We were able to set up the store ourselves without talking with live support. Can someone without programming knowledge use it: Yes. Live support is excellent. The agents we talked with are knowledgeable, professional and helpful. So, how much is Shopify, and what do you get for your basic subscription monthly price? As you can see, you can get started with Shopify for as little as $29 per month, with the option to easily upgrade at any time. Shopify Plus is an enterprise level solution, with plans starting at $2000 a month and going up. You’ll need to contact Shopify with the details of your store in order to get a real time quote for their professional staff. Shopify has several pricing models, but you’ll note that some essential functions are only available with the $79 a month and above plans. We tried the basic plan and found it is pretty limited, as it didn’t allow multiple shipping rates besides free shipping. What’s more, manually sending email one-by-one to abandoned checkout users is not a smart way to do it. Other big advantages of the $79 per month plan are the discounted credit card rates (2.6% + 30¢), which can really add up over time when you’re doing high-volume sales. With this premium plan, you also get features and options such as distributing gift cards, receiving professional reports, and getting access to five staff accounts. In addition to the monthly subscription fees notes above, there is a transaction fee. This fee varies depending on which payment gateway you use for your store. If your store uses Shopify Payments, then there is no transaction fee. But keep in mind you still need to pay the credit card processing fee. 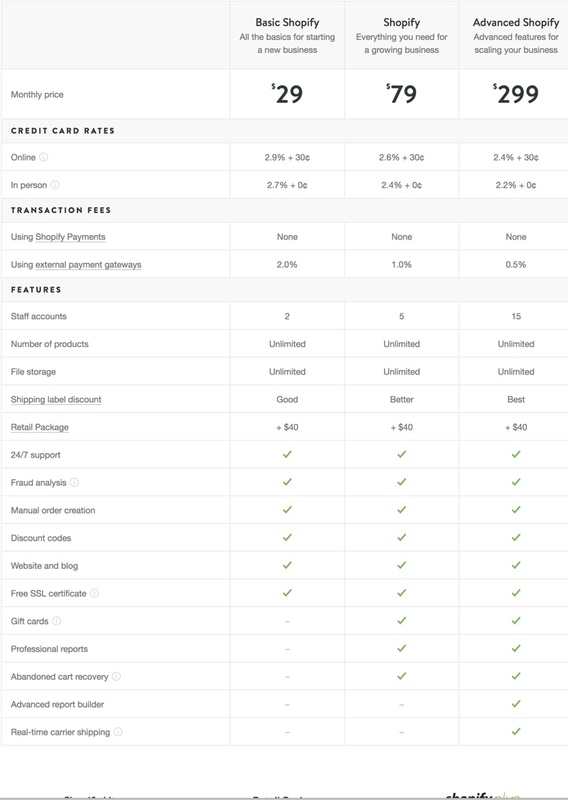 If you do not use Shopify Payments, and instead you opt for one of the other payment gateways that Shopify supports, your transaction fees will be set to 2% (for the Basic plan), 1% (for the Shopify plan), or 0.5% (for those using the Advanced Shopify plan). This means you’ll be charged transaction fees on every order processed in your store, PLUS you’ll need to pay the credit card rate and other fees charged by your payment gateway provider. Be sure to factor in all of these fees when you’re setting your prices and making other business decisions. + App fee if you use paid apps. 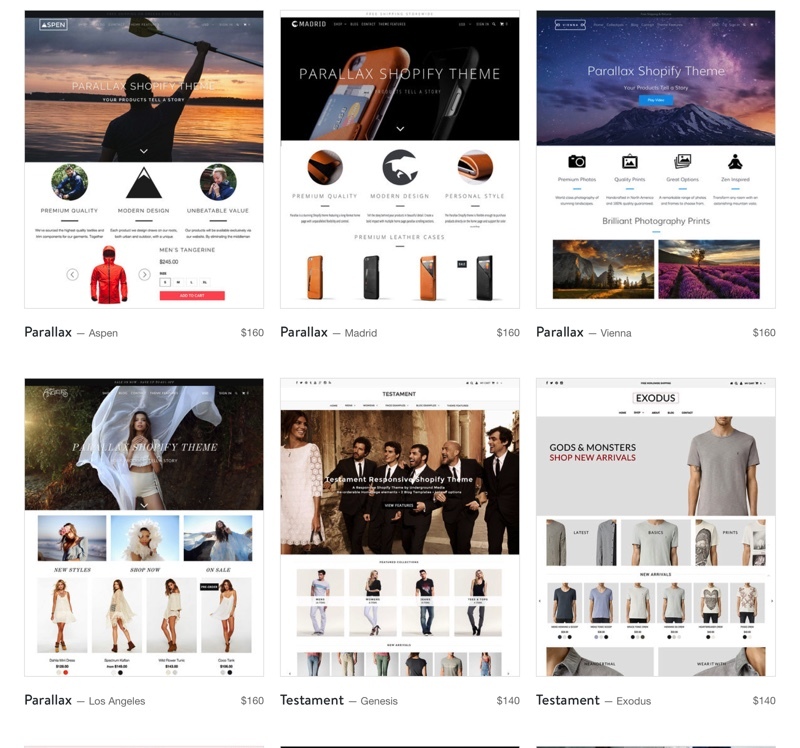 For those looking for a hosted shopping cart or similar ecommerce solution, Shopify is at the top the list for its beautiful design, speed, performance, user-friendliness, scalability and security. It’s also at the forefront of marketing automation with the AI KitCRM system. With Shopify, you don’t have to worry about hosting, server management, security updates, PCI compliance, SSL certificates or similar issues. 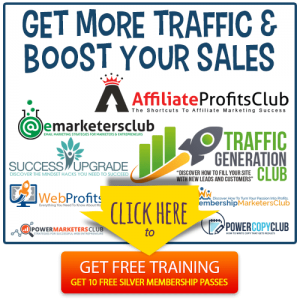 You can set up a gorgeous store and start driving traffic and testing the market in a matter of days instead of months. Shopify is quite flexible, as you can use it to sell online and offline. 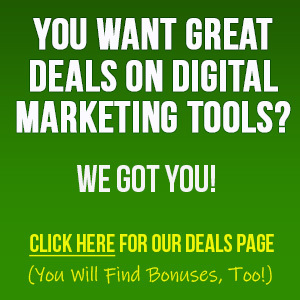 In addition, you can use it to sell both physical products and downloadable digital products. It can handle one-off payments, as well as recurring subscription payments. The downside is that it can be costly, largely due to the number of paid add-ons needed depending on your business model. If you’re running a drop-shipping business using AliExpress, Amazon, or eBay, then one of the best drop shipping apps that we used ourselves is this one, which integrated seamlessly with Shopify. With this app, the automation process is incredible, it is a huge time saver when you’re creating your store. That could be an important factor to choose Shopify over other solutions if you are looking into automating your drop shipping business. Check it out here.